iPhone XS and XS Max Hands-On - Everything You Want to Know! iPhone XS and XS Max Hands-On - Everything You Want to Know! iPhone XS and XS Max Hands-On – Everything You Want to Know About The Brand-New iPhones! As you probably know, Apple’s iPhone 2018 Event is behind us. Those of you who have followed TechNadu’s live blog already know quite a lot about the company’s new flagship smartphones: the iPhone XS and XS Max. However, now that everything’s settled, it’s time to take a deeper look at these two models and learn about whether it’s worth upgrading to the latest iPhone generation. Welcome to our hands-on preview of iPhone XS and XS Max. We will use this article to tell you everything you need to know about the new iPhones, as well as to summarize all of the important information. Once the new models become widely available, you can expect to find a full review on our website. Instead of doing a full generation leap, Apple has decided to bring us the traditional mid-cycle upgrade once again. In case you already own the last year’s iPhone X, you might not even notice the differences between that model and this year’s iPhones. However, a lot of interesting things hide under the hood. So, let’s take a deep dive. Last year, the iPhone X brought perhaps the biggest jump in terms of design ever since the original iPhone was released more than 10 years ago. For the first time ever, the Home Button was eliminated and the phone received a huge display with a prominent notch at the top. Well, things haven’t really changed as both the iPhone XS and XS Max feature the same design as the last year’s model. Even though there were rumors that we’ll see a smaller notch, that didn’t happen. Once again, we have very thin bezels and there’s also that well-known notch at the top. The new phones are constructed from a mixture of durable glass and stainless steel. Needless to say, you’ll get to use these phones for a very long time (at least if you’re not prone to dropping your phone – which many of us are). What’s new this year is a gold hue that also covers the stainless-steel band. You can also buy the iPhone XS or XS Max in black and silver as well. Finally, it should be noted that the iPhone XS brings a 5.8-inch screen, while the iPhone XS Max comes with a 6.5-inch screen. If there’s a company that knows how to produce (or utilize the knowledge of others) an amazing display, that would be Apple. The new iPhones come in two sizes but their screens are identical in terms of specifications. These are still OLED screens capable of producing rich and vivid colors, very deep blacks, and strong contrast ratio. 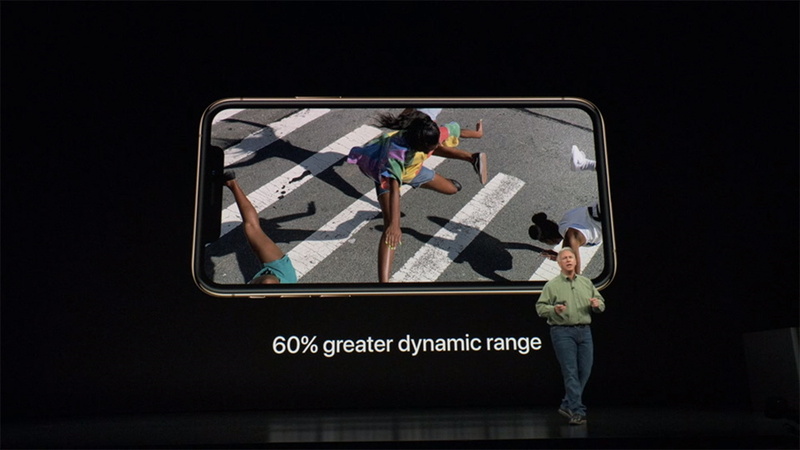 According to Apple, the iPhone XS and XS Max bring an improved performance by having 60% better dynamic range. This goes hand-in-hand with HDR 10 and Dolby Vision – which means that your movie-watching experience should be even better now. You might not be able to see the difference at a first glance but you can be 100% sure that these two screens are among the very best of all smartphones currently on the market. In case you’ve been a long-term iPhone user, you already know what ‘S’ series upgrades mean. 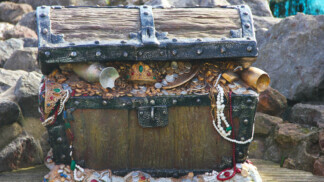 They usually mean that nothing is changed on the outside – but plenty can be changed on the inside. This is more than true for the newest iPhone generation. The most prominent new feature is Apple’s new SoC. 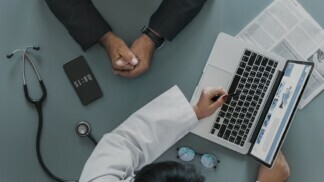 While the previous generation ran the A11 Bionic Chip, the latest generation is powered by the A12 Bionic, which we already told you about in a separate article. What’s interesting is that this is the first 7nm chip that doesn’t only bring a smaller size but a big technological leap as well. It doesn’t use too much power which translates to improved battery life, incredibly smooth performance, and console-like graphics. 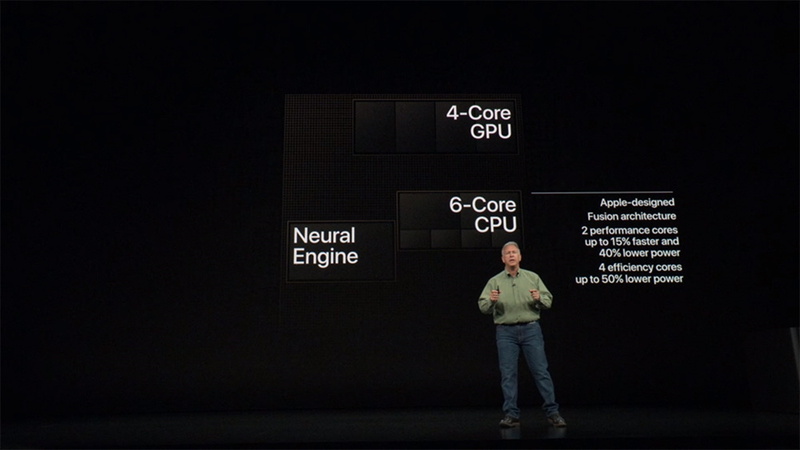 The A12 Bionic brings a quad-core GPU, a six-core CPU, and it packs a dedicated neural engine. According to numerous expert opinions, the latest iPhone generation brings 4GB of RAM which is 1GB more than ever before. However, we’ll have to wait for the first benchmarks to check this fact. We already know that the iPhone X was an incredibly capable photography device, especially in the right hands. Even though only one year has passed since the X model entered the market, Apple has decided to up its game. 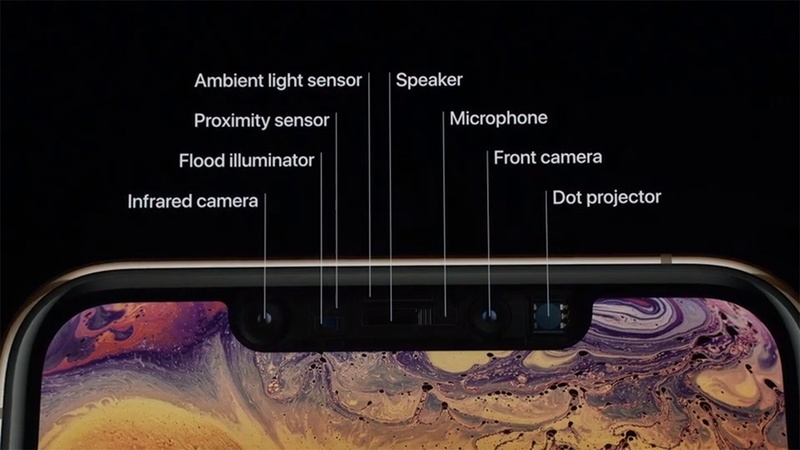 The iPhone XS and XS Max come with dual cameras found on the back. The 12-megapixel camera (f/1.8) is paired with a secondary 12-megapixel (f/2.4) sensor. Both of these do support optical image stabilization. In contrast to the previous year, these are all new wide-angle sensors including a new telephoto sensor as well. Thanks to a new ISP found within the A12 Bionic processor, we are talking about a greatly improved photography gear that will push the entire iPhone lineup into a new era. Let’s also not forget to mention that there’s a 7-megapixel camera on the front. When it comes to recording videos, there is only one new thing – but a highly important one. You can still record videos up to 4K and play around with slow-motion. 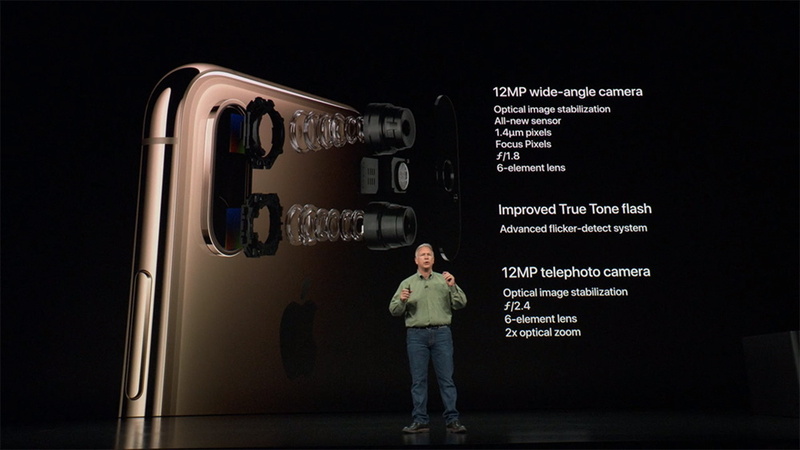 However, the iPhone XS and XS Max now support stereo-sound recording. Aside from new sensors, plenty has been improved in the software department. A new Smart HDR technology improves how details and shadows look by taking several images and stitching them into one. Once again, this is backed up by the A12 processor that’s now capable of a very powerful post-processing. And finally, you can now manually change the depth of the field even after you’ve taken the photo. Bringing a set of new features without affecting battery life is always a challenge. 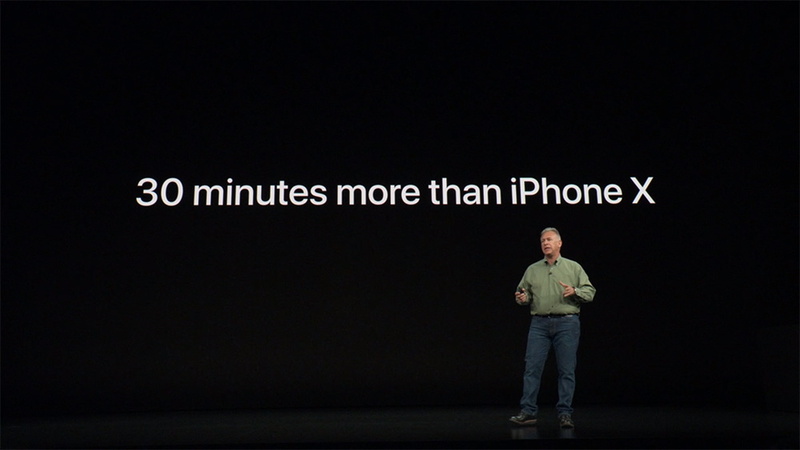 This year, Apple has managed to make its new iPhones run up to 30 minutes longer than the iPhone X (which came with a 2,700mAh battery). The chances are that Apple’s didn’t make any changes to the battery. Instead, the company turned to other types of hardware and software. The A12 Bionic chip is more efficient than the previous model, which is perhaps the main reason why the new iPhone XS and XS Max don’t come with a degraded battery life. 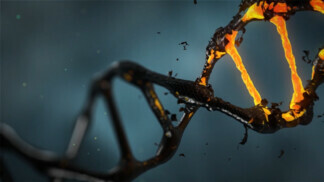 Of course, there are numerous optimizations in iOS that have certainly helped along the way. Finally, let’s not forget to mention that both of the new models come with wireless charging support. This is based on the Qi standard so pretty much any third-party wireless charger will do the job. 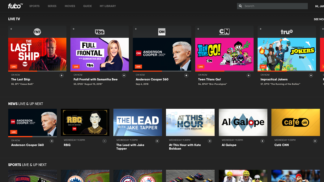 Finally, let’s talk about the pricing. As you can guess, all of those amazing features do come at a price. Even though iPhones were never cheap, you might be surprised by the prices of these models. 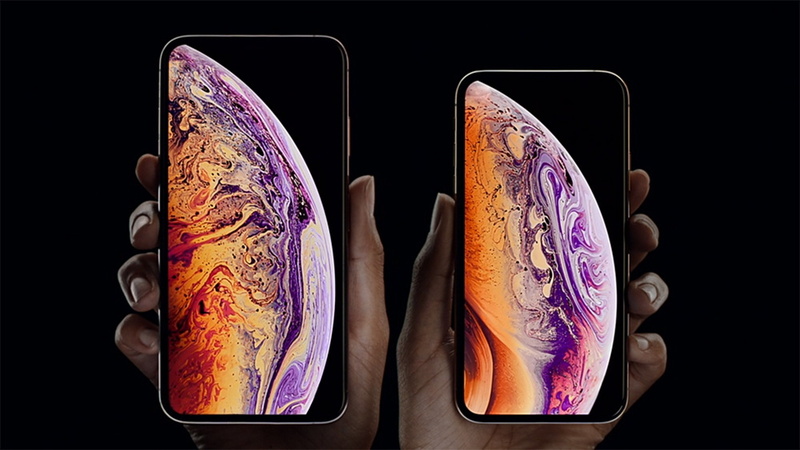 The iPhone XS comes priced at $999 for the base model (64GB), $1,149 for 256GB, and $1,349 for 512 GB. 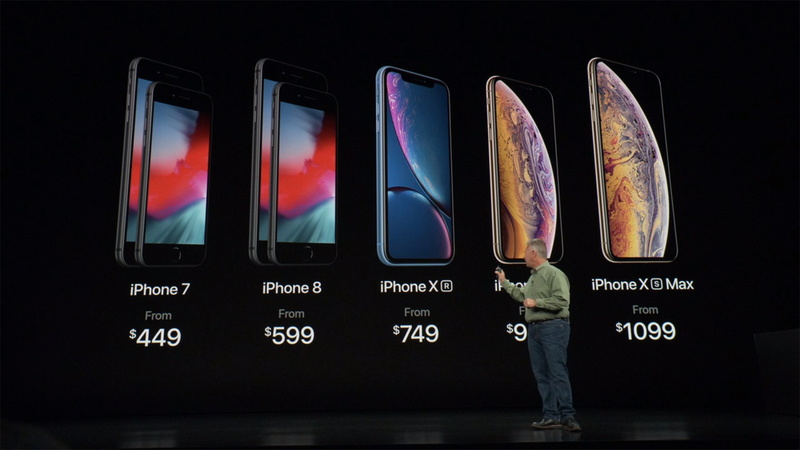 And you can get the base iPhone XS Max for $1,099 (64GB), or pay $1,249 for 256GB, or $1,449 for 512GB. 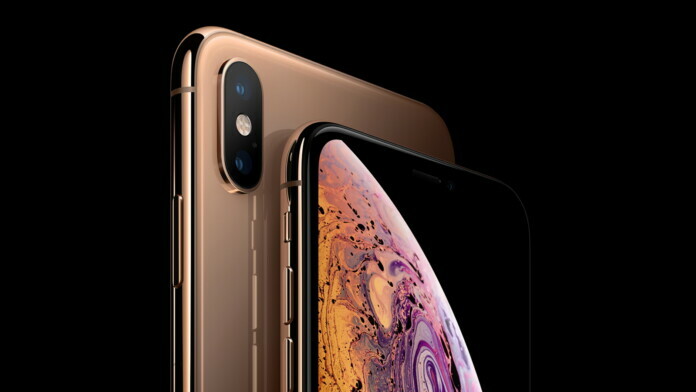 Without any doubt, the new iPhone XS and XS Max are the best smartphones ever produced by Apple. You can count on a flawless performance, incredibly capable camera, astounding build quality, and pretty much anything in between. Of course, this comes at a price, especially regarding the XS Max. However, we are certain that these are going to be the bestselling smartphones during the year that ahead of us. Dear readers, this is where we conclude our iPhone XS hands-on preview. In case you have any additional questions, just let us know. And also, don’t forget to follow us on Facebook and Twitter. Thanks!